Show your pride with this bright orange Stand Up To Cancer silicone wristband. Convey a message of hope and courage while supporting accelerated cancer research. 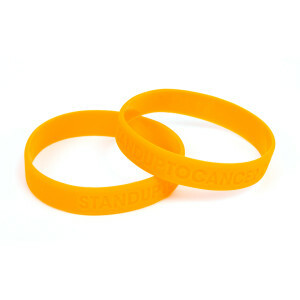 Available as a set of 2 wristbands.